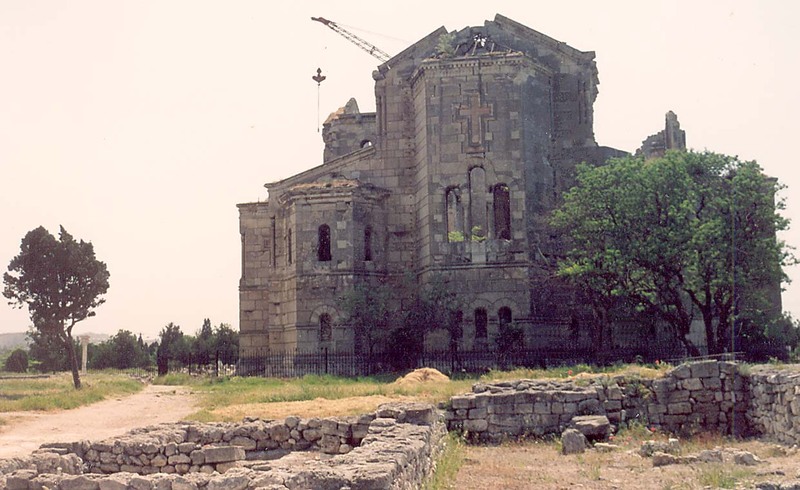 This Russian church, like many other things, was destroyed during World War II. This photo was taken during the 1990's. There is was construction going on to restore it when this photo was taken. Churches started being destroyed in Russia after the October Revolution on 1917. Atheism was introduced all over the Soviet Union. It was forbidden for young people (pioneers and komsomol members) to attend church services. Members of the communist party who tried to baptize their children in church were punished.